Dynamic Programming Solution to ATM Cash Replenishment Optimization Problem received the best paper award at International Conference on Intelligent Computing and Optimization (ICO 2018). Analyzing Implicit Aspects and Aspect Dependent Sentiment Polarity for Aspect-based Sentiment Analysis on Informal Turkish Texts, received the best paper award at MEDES 2017. Link here. Predicting the Location and Time of Mobile Phone Users by Using Sequential Pattern Mining Techniques , is in the shortlist of Wilkes Award 2017. Link here. You can find the paper here. A Novel Wind Power Forecast Model: Statistical Hybrid Wind Power Forecast Technique (SHWIP) , received 2016 Best Paper Award for the IEEE Transactions on Industrial Informatics. Predicting the Location and Time of Mobile Phone Users by Using Sequential Pattern Mining Techniques is in ScienceNode article: Sifting big mobile phone data predicts your next move. O. Ozdikis, P. Karagoz, H. Oguztuzun, Incremental Clustering with Vector Expansion for Online Event Detection in Microblogs, Social Network Analysis and Mining, 7:56, 2017. (DOI 10.1007/s13278-017-0476-8). A. Mutlu, P. Senkul , "Improving Hit Ratio of ILP-based Concept Discovery System with Memoization", The Computer Journal, vol. 57, No: 1, pp. 138-153, 2014. (doi:10.1093/comjnl/bxs163). A. Mutlu, P. Senkul , Y. Kavurucu, "Improving the Scalability of ILP-based Multi-Relational Concept Discovery System through Parallelization", Knowledge-Based Systems, volume:27, 352-368pp, 2012 (DOI: 10.1016/j.knosys.2011.11.001). P. Senkul , S. Salin, "Improving Pattern Quality in Web Usage Mining by Using Semantic Information", Knowledge and Information Systems, vol:30, 527-541pp., 2012 (DOI: 10.1007/s10115-011-0386-4). D. Canturk, P. Senkul , "Using Semantic Information for Distributed Web Service Discovery", International Journal of Web Science, vol 1, Nos:1/2, 21-35pp, 2011 . L. A. Guner, N. I. Karabacak, O. U. Akdemir, P. Senkul Karagoz, S. A. Kocaman, A. Cengel, M. Unlu, "An open-source framework of neural networks for diagnosis of coronary artery disease from myocardial perfusion SPECT", Journal of Nuclear Cardiology, vol: 17, issue: 3, 405-413pp, June 2010, doi:10.1007/s12350-010-9207-5. E. Karakoc, P. Senkul , Composing Semantic Web Services Under Constraints, Expert Systems With Applications, Volume 36, Issue 8, October 2009, Pages 11021-11029, doi: 10.1016/j.eswa.2009.02.098. N. K. Cicekli, A. Cosar, A. Dogac, F. Polat, P. Senkul , I. H. Toroslu, A. Yazici, Data management research at the Middle East Technical University, SIGMOD RECORD 34 (3): 81-84 SEP 2005. P. Senkul, I. H. Toroslu, An Architecture for Workflow Scheduling Under Resource Allocation Constraints, Information Systems, vol 300 issue 5, pp. 399-422, July 2005. S. Demir, O. Alkan, F. Cekinel, P. Karagoz, Extracting Potentially High Profit Product Feature Groups by Using High Utility Pattern Mining and Aspect based Sentiment Analysis. In High-Utility Pattern Mining: Theory, Algorithms and Applications, edited by Fournier-Viger, P., Lin, J.C.-W., Nkambou, R., Vo, B., Tseng, V.S., Springer, March 2019. P. Karagoz, H. Oguztuzun, R. Cakici, O. Ozdikis, K. D. Onal, M. Sagcan, Extracting Location Information from Crowd-sourced Social Network Data, European Handbook of Crowdsourced Geographic Information, pp 195-204, Ubiquity Press, London, 2016. DOI: http://dx.doi.org/10.5334/bax. I. Keles, M. Ozer, I. H. Toroslu, P. Karagoz, Location Prediction of Mobile Phone Users Using Apriori-Based Sequence Mining with Multiple Support Thresholds. In New Frontiers in Mining Complex Patterns, edited by A. Appice, M. Ceci, C. Loglisci, G. Manco, E. Masciari and Z. W. Ras, Springer, Lecture Notes in Artifical Intelligence, 2015, pp. 179-193. ISBN 978-3-319-17875-2 (Print), ISBN 978-3-319-17876-9 (eBook), DOI 10.1007/978-3-319-17876-9. O. Ozdikis, P. Senkul , H. Oguztuzun, Context based semantic relations in tweets. In State of the Art Applications of Social Network Analysis, edited by F. Can, T. Ozyer and F. Polat, Springer, Lecture Notes in Social Networks, 2014, pp. 35-52. ISBN: 978-3-319-05911-2 (Print) 978-3-319-05912-9 (Online). DOI 10.1007/978-3-319-05912-9. P. Senkul , N. Onder, S. Onder, E. Maden, H. M. Nyew, "Discovering Patterns for Architecture Simulation by using Sequence Mining", in "Pattern Discovery Using Sequence Data Mining: Applications and Studies", pp.212-236,IGI Global,Hershey, 2012 (DOI: 10.4018/978-1-61350-056-9, ISBN13: 9781613500569). A. Dogru, P. Senkul , O. Kaya, "Modern Approaches to Software Engineering in the Compositional Era", in "Knowledge Engineering for Software Development Life Cycles: Support Technologies and Applications", pp.1-20, IGI Global, 2011 (DOI: 10.4018/978-1-60960-509-4, ISBN: 978-1-60960-509-4). S. Mukherjee, H. Davulcu, M. Kifer, P. Senkul, G Yang, "A Survey of Logic based Approaches to Workflow Modeling, in "Emerging Applications of Logics in Databases", Springer-Verlag, 2003. Dogac, A., Gokkoca, E., Arpinar, S., Koksal, P., Cingil, I., Arpinar, B., Tatbul, N., Karagoz, P., Halici, U., Altinel, M., "Design and Implementation of a Distributed Workflow Management System: METUFlow", NATO-ASI on Workflow Management Systems and Interoperability, Dogac, A., Kalinichenko, L., Ozsu, T., Sheth, A., (Edtrs. ), August 1997, pp. 60-90. A. Simsek, P. Karagoz, Diversification in Wikipedia Enriched Advertisement Recommendation for Microblogs, The International Conference on Web Intelligence, Mining and Semantics (WIMS), Seoul, Korea, June 2019. 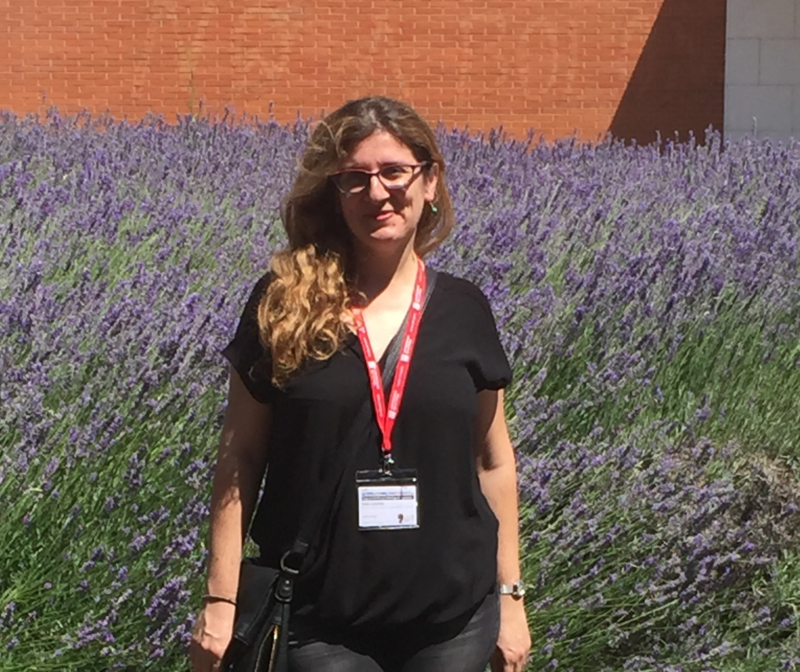 M. Yukselen, A. Mutlu, P. Karagoz, Infuencee Oriented Topic Prediction: Investigating the Effect of Influence on the Author, The International Conference on Web Intelligence, Mining and Se mantics (WIMS), Seoul, Korea, June 2019. O. C. Sahin, P. Karagoz, N. Tatbul, Streaming Event Detection in Microblogs: Balancing Accuracy and Performance, The International Conference on Web Engineering (ICWE),Daejeon, Korea, June 2019. R.F. Cekinel, M. Agriman, P. P.Karagoz, B. Yilmaz, Turkce Haber Metinlerinde SartlÄ± Rastgele Alanlar ile VarlÄ±Ismi Tanima: Ozniteliklerin Gozden Gecirilmesi (Named Entity Recognition with Conditional Random Fields on Turkish News Dataset: Revisiting the Features), Sinyal Isleme ve Iletisim Uygulamalari Kurultayi (SIU), Nisan 2019. F. Ayala-Gomez, B. Kenis, P. Karagoz, A. Benczur, Top-k Context-Aware Tour Recommendations for Groups, Mexican Int. Conf. on Artifical Intelligence (MICAI), Guadalajara, Mexico, Oct 22-27, 2018. Y. Arslan, A. Simsek Dilbaz, S. Ertekin, P. Karagoz, A. Birturk, S. Eren, D. Kucuk, Short-Term Electricity Consumption Forecast using Datasets of Various Granularities, ECML/PKDD 2018 Int. Workshop on Data Analytics for Renewable Energy Integration (DARE'18), Dublin, Rep. of Ireland, September, 2018. F. Ozer, I. H. Toroslu, P. Karagoz, F. Yucel, Dynamic Programming Solution to ATM Cash Replenishment Optimization Problem, Int Conf. on Intelligent Computing and Optimization, Pattaya, Thailand, Oct. 4-5, 2018. A. D. Unsal, H. Tuydes-Yaman, P. Karagoz, Event Related Blog Post Classification by Using Traffic Related Named Entities, Int. Smart Cities Conf (ISC2), Kansan City, USA; Sept 16-19, 2018. O. C. Sahin, N. Tatbul, P. Karagoz, Olay Tespiti Problemi icin Akan Veri Isleme Platformu Kullanimi: Avantaj ve Kisitlarin Incelenmesi, UYMS 2018, Istanbul, Turkiye, 10-12 Eylul 2018. R. Aktunc, I. H. Toroslu, P. Karagoz, Event Detection by Change Tracking on Community Structure of Temporal Networks, ASONAM-FAB 2018, Barcelona, Spain, August 27-31, 2018. M. Ertugrul, P. Karagoz, Movie Genre Classification from Plot Summaries using Bidirectional LSTM, IEEE International Conference on Semantic Computing (ICSC) 2018, Jan 31-Feb 2, 2018. I. Batmaz, P. Karagoz, G. Serdar, A Comparative Study on Learning to Rank with Computational Methods, 2017 IEEE International Conference on Big Data, Boston, USA, December 2017. B. Kama, M. Ozturk, P. Karagoz, H. Toroslu, M. Kalender, Analyzing Implicit Aspects and Aspect Dependent Sentiment Polarity for Aspect-based Sentiment Analysis on Informal Turkish Texts, MEDES 2017, November 2017. H. Erdogan, Y. A. Acar, O. Cinar, E. Surer, P. Karagoz, Ilk Yardim Tekniklerini Ogretme Amacli Tasarlanmis Oyun Tabanli Mobil Platform, USMOS 2018, Ankara, 21-23 Kasim 2017. M. B. Ozkan, P .Karagoz, Probabilistic Wind Power Forecasting by Using Quantile Regression Analysis, ECML-PKDD 2017 DARE Workshop, September 2017. Talha Yilmaz, Pinar Karagoz, Yusuf Kavurucu, Exploring What Makes It a POI, IEEE Conference on Smart City Innovations (IEEE SCI 2017), August 2017. S. Rahimiaghdam, P. Karagoz, A. Mutlu, Personalized Time-Aware Outdoor Activity Recommendation System, ACM SAC SONAMA 2016, April 2016. O. Yilmaz, P. Karagoz, Generating Performance Improvement Suggestions by using Cross-Organizational Process Mining, SIMPDA 2015, Vienna, Austria, December 2015. K. D. Onal, I. S. Altingovde, P. Karagoz, Utilizing Word Embeddings for Result Diversification in Tweet Search, AIRS 2015, Brisbane, Australia, December 2015. C. Er Koksoy, M. B. Ozkan, S. Buhan, T. Demirci, A. Birturk, P. Karagoz, Improved Wind Power Forecasting Using Combination Methods, ICMLA, December 2015. M. Sagcan, P. Karagoz, Toponym Recognition in Social Media for Estimating the Location of Events, ICDM Workshop on Event Analytics Using Social Media (EASM), Atlantic City, USA, November 2015. H. Bagci, P. Karagoz, Random Walk Based Context-Aware Activity Recommendation for Location Based Social Networks, IEEE/ACM International Conference on Data Science and Advanced Analytics (DSAA'2015), October 2015. T. F. Yilmaz, P. Karagoz, Metaheuristic Based Automated Evaluation Method for Public Investment Projects, 13th Int. Symposium on Opearional Research (SOR 15), September 23-25, 2015. K. D. Onal, P. Karagoz, Named Entity Recognition from Scratch on Social Media, ECML-PKDD, MUSE Workshop, September 2015. C. E. Koksoy, M. B. Ozkan, D. Kucuk, A. Bestil, S. Sonmez, S. Buhan, T. Demirci, P. Karagoz, A. Birturk, Performance Analysis of Data Mining Techniques for Improving the Accuracy of Wind Power Forecast Combination, ECML-PKDD, DARE Workshop, September 2015. C. Abay, A. Mutlu, P. Karagoz, A Graph-Based Concept Discovery Method for n-ary Relations, DaWak 2015, Valencia, Spain, September 2015. C. Abay, A. Mutlu, P. Karagoz, A Path-Finding Based Method for Concept Discovery in Graphs, Int Conf. on Information, Intelligence, Systems and Applications (IISA), Corfu, Greece, July 2015. D. Karatay, P. Karagoz, User Interest Modeling in Twitter with Named Entity Recognition, WWW Conference Making Sense of Microposts workshop (#Microposts2015), Florence, Italy, May 2015. E. Esgin, P. Karagoz, Dynamic Scoring-based Sequence Alignment Adaptation for Process Diagnostics, IEA/AIE 2015, Seoul, South Korea, June 2015. A. Simsek, P. Karagoz , Sentiment Enhanced Hybrid TD-IDF for Microblogs, SocialCom 2014, 311-317pp, Sydney, Australia, December 2014. M. Ozer, I. Keles, I. H. Toroslu, P. Karagoz, S. Ergut, Predicting the next location change and time of change for mobile phone users, Third ACM SIGSPATIAL International Workshop on Mobile Geographic Information Systems (MobiGIS), 51-59pp., Texas, USA, November 2014. A. Mutlu, A.Dogan, P. Karagoz, Utilizing Coverage Lists as a Pruning Mechanism for Concept Discovery, ISCIS 2014, Krakow, Poland, October 2014. I. Keles, M. Ozer, I. H. Toroslu, P. Karagoz, S. Ergut, Location Prediction of Mobile Phone Users using Apriori-based Sequence Mining with Multiple Support Thresholds, ECML-PKDD Workshop on New Frontiers in Mining Complex Patterns (NFMCP 2014), Nancy, France, September 2014. A.E. Yilmaz, P. Karagoz , Improved Genetic Algorithm based Approach for QoS Aware Web Service Composition, International Conference on Web Services (ICWS 2014), Alaska, USA, July 2014. A. Gun, P. Karagoz , A Hybrid Approach for Credibility Detection in Twitter, Hybrid Artifical Intelligence Systems (HAIS 2014), Salamanca, Spain, June 2014. K. D. Onal, P. Karagoz, Improving Efficiency of Sequence Mining by Combining First Occurrence Forest (FOF) Strategy and Sibling Principle, Int. Conf. on Web Intelligence, Mining and Semantics (WIMS 2014), Thessaloniki, Greece, June 2014. K. D. Onal, P. Karagoz, Extracting Multi-Item Sequential Pattern by WAP-Tree Based Approach, International Conference on Web Information Systems and Technologies (WEBIST), Spain, June 2014. P. Karagoz , S. Utku, Testing Discovered Web Services Automatically, International Conference on Web Information Systems and Technologies (WEBIST), Spain, June 2014. E. Esgin, P. Karagoz , Confidence-Aware Sequence Alignment for Process Diagnostics, The 9th International Conference on SIGNAL IMAGE TECHNOLOGY an INTERNET BASED SYSTEMS (SITIS) Workshop on Data-Driven Process Discovery and Analysis (SIMPDA), Kyoto, Japan, December 2013. O. Ozdikis, H. Oguztuzun, P. Karagoz, Evidential Location Estimation for Events Detected in Twitter, ACM SIG Spatial/GIS Workshop on Geographic Information Retrieval (GIR), Orlando, USA, November 2013. M. Ozer, I. Keles, I. H. Toroslu, P. Karagoz , Predicting the Change of Location of Mobile Phone Users, SIG Spatial GIS Workshop on MobiGIS, Orlando, USA, November 2013. Z. Boynukalin, P. Karagoz, Emotion Analysis on Turkish Texts, International Symposium on Computer and Information Sciences (ISCIS), 159-168pp., Paris, France, October 2013. A. Mutlu, P. Karagoz, A Counting-based Heuristic for ILP-based Concept Discivery Systems, International Conference on Hybrid Artificial Intelligence Systems (HAIS), Salamanca, Spain, September 2013. O. Kirmemis Alkan, P. Karagoz, Extracting Sequential Patterns Based on User Defined Criteria, International Conference on Hybrid Artificial Intelligence Systems (HAIS), Salamanca, Spain, September 2013. E. Esgin, P. Karagoz, Sequence Alignment Adaptation for Process Diagnostics and Delta Analysis, International Conference on Hybrid Artificial Intelligence Systems (HAIS), Salamanca, Spain, September 2013. A. Mutlu, P. Karagoz, A Hybrid Graph-based Method for Concept Rule Discovery, DAWAK, 327-338pp., Prague, August 2013. M. B. Ozkan, D. Kucuk, E. Terciyanli, S. Buhan, T. Demirci, P. Karagoz, A Data Mining-Based Wind Power Forecasting Method: Results for Wind Power Plants in Turkey, DAWAK, 268-276pp.,Prague, August 2013. P. Alper, K. Belhajjame, C. A. Goble, P. Karagoz, Small Is Beautiful: Summarizing Scientific Workflows Using Semantic Annotations, IEEE Big Data, July 2013. O. Kirmemis Alkan, P. Karagoz , Assisting Web Site Navigation Through Web Usage Patterns, IEA/AIE 2013, pp.161-170, Amsterdam, Holland, June 2013. P. Alper, K. Belhajjame, C. A. Goble, P. Karagoz, Enhancing and abstracting scientific workflow provenance for data publishing. EDBT/ICDT Workshops 2013: 313-318. A. G. Vural, B. B. Cambazoglu, P. Senkul, "Sentiment-Focused Web Crawling", CIKM 2012, Hawaii, USA, October 2012. M. Sattari, I. H. Toroslu, P. Senkul, M. Manguoglu, P. Symeonidis, Y. Manolopoulos, "Geo-activity Recommendations by using Improved Feature Combination", UbiComp Workshop On Location-Based Social Networks (LBSN 2012), Pittsburgh, USA, September 2012. S. Kilic, P. Senkul, I. H. Toroslu, "Clustering Frequent Navigation Patterns from Website Logs by Using Ontology and Temporal Information", ISCIS 2012, Paris, France, October 2012. O. Kirmemis, P. Senkul, "New Techniques for Adapting Web Site Topology and Ontology to User Behavior", ISCIS 2012, Paris, France, October 2012. A. G. Vural, B. B. Cambazoglu, P. Senkul, Z. O. Tokgoz, "A Framework for Sentiment Analysis in Turkish: Application to Polarity Detection of Movie Reviews in Turkish", ISCIS 2012, Paris, France, October 2012. B. D. Gunel, P. Senkul , "Integrating Semantic Tagging with Popularity Based Page Rank for Next Page Prediction", ISCIS 2012, Paris, France, October 2012. A. Mutlu, P. Senkul , "Improving Hash Table Hit Ratio of an ILP-based Concept Discovery System with Memoization Capabilities", ISCIS 2012, Paris, France, October 2012. O. Ozdikis, P. Senkul, H. Oguztuzun, "Semantic Expansion of Hashtags for Enhanced Event Detection in Twitter", VLDB Workshop on Online Social Systems (WOSS 2012), Istanbul, Turkey, September 2012. O. Ozdikis, P. Senkul, H. Oguztuzun, "Semantic Expansion of Tweet Contents for Enhanced Event Detection in Twitter", ASONAM 2012, Istanbul, Turkey, August 2012. D. Canturk, P. Senkul, Ontology-based Routing of Web Services in Distributed Service Discovery System Containing Domain Specific Nodes, International Symposium on Computers and Communications (ISCC 2012), July 2012. E. Askaroglu, P. Senkul, Automatic QoS Evaluation Method forWeb Services, International Symposium on Computers and Communications (ISCC 2012), July 2012. S. Utku, P. Senkul, Alana Ozgu Web Servis Kesif Sistemlerinde Web Servislerin Test Edilmesi, UYMS 2012, Mayis 2012. O. Ozdikis, P.Senkul, S. Sinir, Confidence-Based Incremental Classification for Objects with Limited Attributes in Vertical Search, IEA-AIE 2012, June 2012. A. Mutlu, P.Senkul, Y. Kavurucu, Tumevaran Mantik Programlama tabanli Kavram KeÅŸif Sistemleri iÃ§in Paralel bir Yontem, Basarim 2012, Nisan 2012. B.D. Gunel, P. Senkul , Investigating the Effect of Duration, Page Size and Frequency on Next Page Recommendation with Page Rank Algorithm, Int. Conf. on Web Search and Data Mining (WSDM) Workshop on Web Search and Click Data (WSCD), February 2012, Seattle, USA. E. Askaroglu, P. Senkul , Alana Ozgu Web Servis Kesif Sistemlerinde Otomatik Servis Kalitesi Hesaplama Yontemi, Ulusal Yazilim Muhendisligi Sempozyumu (UYMS 2011), pp 134-140, 26-28 Eylul 2011. H. Ozdil, P. Senkul , Alana Ozgu Web Servis Kesif Sistemleri icin Servis Sorgulama Dili ve Arayuzu, Ulusal Yazilim Muhendisligi Sempozyumu (UYMS 2011), pp 127-133, 26-28 Eylul 2011. O. Kirmemis Alan, P. Senkul ,	IntWEB: An AI-Based Approach for Adaptive Web, IJCAI 9th Workshop on Intelligent Techniques for Web Personalization, July 2011. D. Canturk, P. Senkul , Semantic Annotation of Web Services with Lexicon-Based Alignment, IEEE 7th World Congress on Services (Services 2011), 355-362pp., July 2011. E. Esgin, P. Senkul , Extracting Connection Types in Process Models Discovered by Using From-to Chart based Approach, IEA/AIE 2011, June 2011. E. Esgin, P. Senkul , Delta Analysis: A Hybrid Quantitative Approach for Measuring Discrepancies between Business Process Models, HAIS 2011, May 2011. H. Yilmaz, P. Senkul , Using Ontology and Sequence Information for Extracting Behavior Patterns from Web Navigation Logs, IEEE ICDM Workshop on Semantic Aspects in Data Mining (SADM'10), Dec 2010. A. Mutlu, M. A. Berk, P. Senkul , Improving the Time Efficiency of ILP-based Multi-Relational Concept Discovery with Dynamic Programming Approach, ISCIS 2010, London, UK, Sept 22-24, 2010. E. Esgin, P. Senkul , C. Cimenbicer, A Hybrid Approach for Process Mining: Using From-to Chart Arranged by Genetic Algorithms, HAIS 2010 (LNCS), San Sebastian, Spain, June 2010. D. Canturk, P. Senkul, Service Acquisition and Validation In a Distributed Service Discovery System Consisting of Domain-Specific Sub-systems, ICEIS 2010, Madeira, Portugal, June 2010. E. Esgin, P. Senkul , Hybrid Approach to Process Mining: Finding Immediate Successors of a Process by Using From-To Chart, Int. Conf on Machine Learning and Applications, pp. 664-668, December 2009. L. Guner, N. Ilgun Karabacak, P.Senkul , O. Akdemir, M. Unlu, Artificial Neural Networks May Be a Secondary Aid To Physicians For The Interpretation of Quantitatvive Myocardial Perfusion Studies, Annual Congress of the European Association of Nuclear Medicine (EANM 2009), Barcelona, October 2009. S. Salin, P. Senkul , Using Semantic Information for Web Usage Mining Based Recommendation, International Symposium on Computer and Information Sciences (ISCIS 09), pp. 236-241, September 2009. Y. Kavurucu, P. Senkul, I.H. Toroslu, Multi-Relational Concept Discovery with Aggregation, International Symposium on Computer and Information Sciences (ISCIS 09), pp. 248- 253, September 2009. D. Canturk, P. Senkul , Ozellesmis Web Servis Kesif Sistemi Mimarisi, Ulusal Yazilim Muhendisligi Sempozyumu (UYMS 09), sayfa 19-25, Ekim 2009. Y. Kavurucu, P. Senkul , I.H. Toroslu, Analyzing Transitive Rules on a Hybrid Concept Discovery System, International Conference on Hybrid Artificial Intelligence Systems (HAIS 2009), June 2009. (LNCS,	Hybrid Artificial Intelligence Systems, volume 5572/2009, pp.227-234, ISSN: 0302-9743 (Print) 1611-3349 (Online), Springer Berlin/Heidelberg, 2009). Y. Kavurucu, P. Senkul , I.H. Toroslu, Confidence-based Concept Discovery in Relational Databases, World Congress on Computer Science and Information Engineering (CSIE 2009), pp.282-286, March 2009. Y. Kavurucu, P. Senkul , I.H. Toroslu, Aggregation in Confidence-based Concept Discovery for Multi-relational Data Mining, European Conference on Data Mining (ISBN:978-972-8924-63-8), pp. 43-50, Amsterdam, July 2008. P. Senkul, F. Altunyuva, CCTRFlow: Mantik-tabanli Isakisi Modelleme ve Planlama Araci, TBD 2. Istanbul Bilisim Kongresi, pp.201-211, Istanbul, Haziran, 2008. Y. Kavurucu, P. Senkul , I. H. Toroslu, Confidence-based Concept Discovery in Multi-Relational Data Mining, International Conference on Data Mining and Applications, pp. 446-451, Hong Kong, 19-21 March 2008. K. Kardas, P. Senkul , Enhanced Semantic Operations for Web Service Composition, International Symposium on Computer and Information Sciences, Ankara, November 2007. L. Guner, P. Senkul , Frequent Itemset Mining with Trie Data Structure and Parallel Execution with PVM, EuroPVM-MPI 2007, October 2007 (LNCS-Springer: Recent advances in parallel virtual machine and message passing interface, LNCS 4757, pp. 289â€“296, Springer-Verlag Berlin Heidelberg, 2007). S. D. Toprak, P. Senkul , Y. Kavurucu, I. H. Toroslu, A New ILP-based Concept Discovery Method for Business Intelligence, ICDE Workshop on Data Mining and Business Intelligence, April, 2007. E. Karakoc, K. Kardas, P. Senkul , A Workflow-based Web Service Composition System, Int. Conf on Web Intelligence (WI) Workshop on Service Composition, December 2006. P. Senkul, Web Service Construction by Using a Logical Formalism, ICDE Workshop on Semantic Web and Databases, No:56, April 2006. P. Senkul, Modeling Composite Web Services by Using a Logic-based Language, Second Italian Workshop on Semantic Web Applications and Perspectives, Trento, Italy, December 2005. P. Senkul, M. Kifer, Ismail H. Toroslu, "A Logical Framework for Scheduling Workflows Under Resource Allocation Constraints", in 28th Conference on Very Large Database Systems (VLDB), Hong Kong, August 2002. P.Karagoz, "Adding Constraints to Logic-Based Workflows to Obtain Optimized Schedules", in Proc. of Conference on Extending Database Technology PhD Workshop, Konstanz, Germany, March 2000. P. Karagoz, S. Arpinar, P. Koksal, N. Tatbul, E. Gokkoca, A.Dogac, "Task Handling in Workflow Management Systems" in Proceedings of International Workshop on Issues and Applications of Database Technology, IADT'98, Berlin, July 1998. Tatbul, N., Nural, S., Karagoz, P., Cingil, I., Gokkoca, E., Altinel, M., Koksal, P., Dogac, A., Ozsu, T., "A Workflow Specification Language and its Scheduler", in Proc. of Intl. Conf. o n Computer and Information Sciences, Antalya, Turkey, November 1997. Karani Kardas (M.S., August 2007), Semantic Processes for Web Service Composition. Responsibility: Partner responsible for work package 9 , "Developing New Techniques for Web Mining and Semantic Web"